As long as we're home for dinner, every Friday is pizza Friday here in our household. Given how often I make pizza, I am constantly on the lookout for topping ideas that will be different from the classics. One unique topping that both my husband and I love is pulled pork. This is always a hit because it's not often that we have leftover pulled pork lying around. My husband and I also host an annual Stampede BBQ. Every year, one of the highlights is the all-day smoked, juicy, melt in your mouth deliciousness that is pulled pork. Since we make SO much at once for this event, it is not unusual for there to be a few pounds of leftovers. I portion it out and freeze to use in enchiladas, sandwiches, or on pizza Friday, pizza. 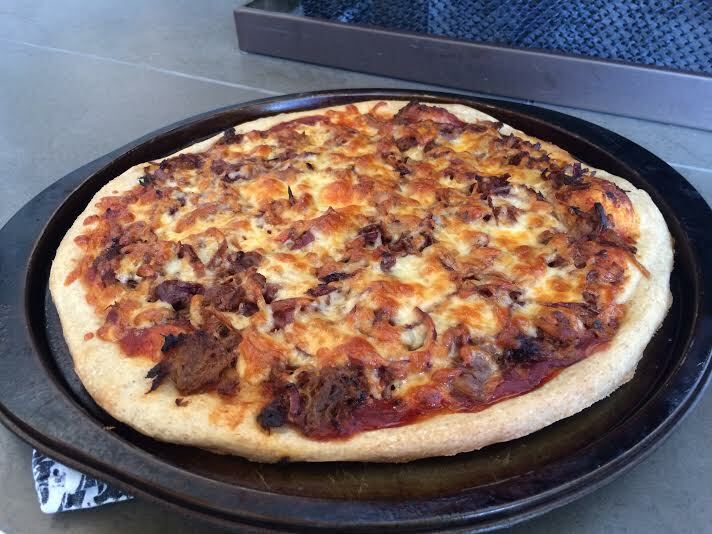 The pulled pork I used on this pizza, below, is not from our big annual BBQ nearly a year ago! We had a smaller BBQ a few weeks ago with our neighbours (which is the same event where the Melt in Your Mouth Doughnuts were devoured). The pork leftovers from this event were used to top the pizza featured in this post. It was oh so smoky, gooey, and delicious! Melt the butter in a large frying pan. Add the onions, and cook over medium heat for approximately 10 minutes, stirring occasionally. When the onions are starting to evenly brown, sprinkle with the sugar and continue browning until golden and sweet, approximately 5 more minutes. Set aside. Shape each portion of dough onto a greased pizza pan. Combine pizza and BBQ sauce in a small bowl, and spread evenly on top of each pan of dough. 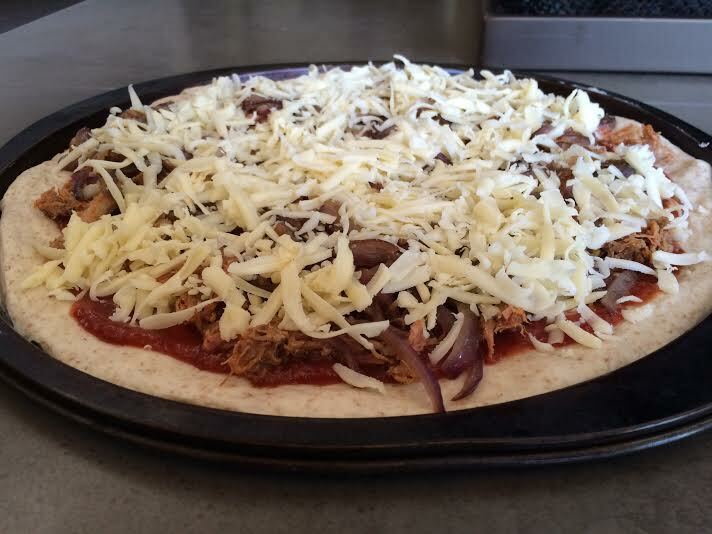 Sprinkle one cup of pulled pork, and half the onion mixture onto each pizza. Top with mozzarella cheese. Bake in a preheated 400F oven for approximately 20-25 minutes (depending on how browned you like your crust). Enjoy!